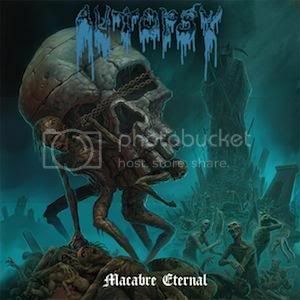 San Francisco Bay Area death metal act Autopsy recently finished recording the band's fifth studio album, "Macabre Eternal," which is due out May 31st on Peaceville Records. You can now check out the album's cover artwork below. 3 Comments on "Autopsy Posts New Album Artwork"